Can You Do Advertising With Text Messages? Artificial intelligence (AI) is one the highest growing technologies in today’s society and has made an impact in many industries. Specifically, artificial intelligence in pharma is opening new pathways and opportunities for growing businesses. There are several factors that have contributed to the advancement of AI in the pharmaceutical industry, such as the size of biomedical datasets, data analytics, electronic health records and much more. AI is beneficial in the pharma industry because of its many uses, such as predicting treatment results, drug design, data preprocessing, and more. This growing technology is finding applications in all aspects of life and industry, and many companies are using AI to enhance their efficiency. Likewise, the pharmaceutical company is also finding new and innovative ways to use this technology to help solve the biggest problems that the industry is facing today. Are you really interested in AI in Pharma? HealthcareWeekly magazine has a tremendously detailed report on this topic. In August 2018, Cyclica announced that it has joined Bayer G4A as one of the six finalists selected this year for its Grants4Apps program. Bayer G4A is a global program that helps startups and companies with the support they require to find solutions in the healthcare industry. Cyclica revealed that Bayer was using its technology for off-target effect investigation, multi-targeted designs for drugs, and pharmacokinetic property prediction. Cyclica is a biotechnology company that is based in Toronto, Canada that is driving drug discovery with AI-augmented platforms to enhance how drugs are designed and used in personalized medicines. Through the multi-phase collaboration, Cyclica will provide its cloud-based proteome screening platform (Ligand Express) to investigate profiles of small molecules with the help of advanced AI technology. As part of Bayer G4A, Cyclica will work with the company and Bayer mentors to accelerate Differential Drug Design (DDD) technology. This allows both companies to advance their visions of improving drug designs around the world and getting better medicines to patients faster and more effectively. GlaxoSmithKline, also known as GSK, is one the most active pharmaceutical companies using artificial intelligence for drug discovery. The company created an in-house artificial intelligence unit called “In silico Drug Discovery Unit”. In July 2017, the company partnered with Exscientia and Insilico to help discover novel and selective small molecules for at least 10 disease target and to identify novel biological targets and pathways. Exscientia is an innovative company that uses AI in their drug discovery systems and during this collaboration with GSK, Exscientia is able to apply its AI platform with the expertise of GSK to discover the selective small molecules. Exscientia uses the power of AI with the discovery experience to automate the drug design process leaving behind the conventional approaches. Their AI-driven approach increases productivity and helps to improve drug efficacy. GSK is also part of the Accelerating Therapeutics for Opportunities in Medicine (ATOM) Consortium which uses AI to go from targeting drugs to patient-ready therapy in less than a year. GSK also announced a partnership with Cloud Pharmaceuticals in May 2018. This partnership will allow GSK to use AI for the design of novel small-molecule drugs. Cloud Pharmaceuticals is an AI-driven drug design and development company that will design novel small-molecule agents to GSK specified targets. Cloud Pharmaceuticals has designed many active molecules against a broad variety of drug targets which make them a very valuable asset to GSK as Cloud is a leader in the computational design of new drugs and rapid drug development field. Novartis is a global healthcare company based in Switzerland that strives to find solutions to address the needs to patients worldwide. Their purpose is to reimagine medicine and be trusted leaders in changing the practice of medicine through their structured design in delivering innovative products. 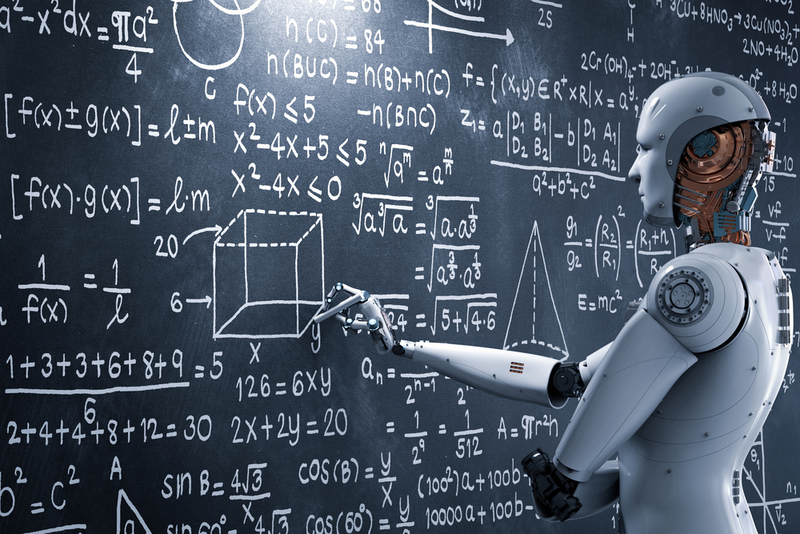 This company recently made relatively few moves with artificial intelligence with incoming CEO Vass Narasimhan where he announced in September 2017 that he has plans to partner with AI and data analytics companies. In January 2018, Novartis partnered with McKinsey’s Quantum Black to analyze trial operations with machine learning. Novartis is using these revolutionizing technologies to interrogate data leading to faster clinical trial processes. With Quantum Black, Novartis developed a program known as Nerve Life that combines data on clinical trial operations for trial cost and quality using machine learning and advanced analytics. In June 2017, GNS Healthcare announces a partnership to power cancer drug development with the help of machine learning and simulation AI platforms. This partnership allows both companies to find and validate potential cancer drug targets by analyzing data from electronic medical records. GNS Healthcare is a leading precision medicine company and uses its technology to turn large and diverse patient data into computer models. This company will collaborate with Genetech to share their knowledge from various data resources to identify new targets and simplify patient populations with higher accuracy rates. In August 2017, AstraZeneca announced a partnership with Ali Health, as subsidiary of Alibaba, to apply technology such as artificial intelligence to diagnose patients and for treatment purposes to expand their business. AstraZeneca is a global biopharmaceutical business and approaches their work with a science background. The company has multiple focus areas, including cardiovascular and metabolic diseases, oncology, respiratory, neuroscience, infection and vaccines, and inflammation and autoimmunity. China is the world’s second-largest drug market (after the United States) with a high proportion of drug sales with AstraZeneca than at other big pharmaceutical companies. AstraZeneca’s sales in China grew at least 30 percent in 2017 and the company expects to keep growing. This new strategic partnership with Ali Health will aim to deliver new health services driven with the help of artificial intelligence to help patients stay on the right medications. Most of the companies discussed above are involved in predicting drug treatment results or drug discovery and design for their patients. Many of their solutions can be integrated into the client’s system. The use of artificial intelligence in pharma is a relatively new establish, mostly less than 10 years old, but companies are constantly finding ways to incorporate it into their businesses.